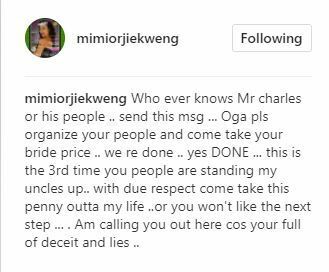 Actress, Mimi Orjiekwe, has taken to social media to call out her estranged husband,actor Charles Billion whom she had accused of infidelity. Charles hardly acknowledged the birth of their baby and Mimi went on social media to blast him, saying he’s just a sperm donor. 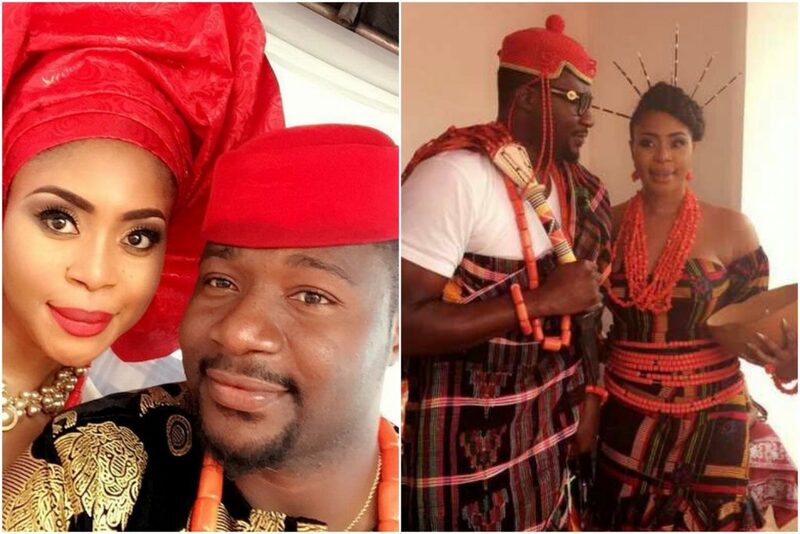 Now, she has taken to social media to call out Charles, to come with his people to come and collect the bride price he paid ..
Who ever knows Mr charles or his people .. send this msg … Oga pls organize your people and come take your bride price .. we re done .. yes DONE … this is the 3rd time you people are standing my uncles up..
with due respect come take this penny outta my life ..or you won’t like the next step … . Am calling you out here cos your full of deceit and lies ..